Today is not just any ordinary February day. 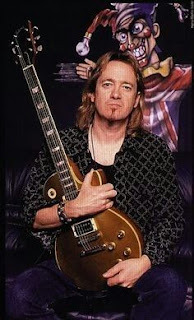 Today is Adrian Smith's 61st birthday! 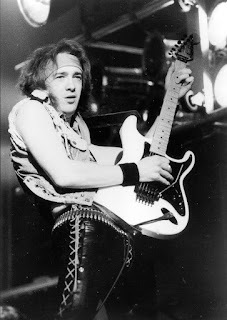 Adrian Smith, the guitarist most notable for his long tenure in Iron Maiden, has appeared on eleven of the band's sixteen albums and has written some great songs during his time. Smith has penned classics such as "Wasted Years," "22 Acacia Avenue," and "The Wicker Man." He has been a driving force in the band for many years and is a fan favorite. Although he is admired for his work in Maiden, he also has several other side and solo projects he has worked on throughout the years. He has been apart of Urchin, ASAP, The Entire Population of Hackney, Psycho Motel, and several others. Today, on Heavy Metal Mania, we debate the Top 10 songs Adrian Smith has appeared on that are not Iron Maiden songs! Urchin was Adrian Smith's first band that he formed in 1972 with his good friend Dave Murray. The band slowly grew and eventually released a few singles in the late 70s. You will see them a lot on this list as I am really fond of their work. 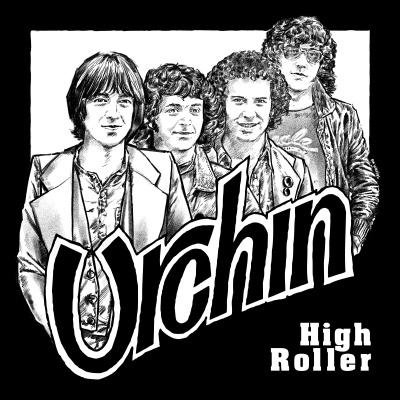 In 2004, 2010, and 2011, over 20 years after the band broke up, High Roller Records released three albums containing mostly unheard Urchin music. One of the songs on the 2010 release was this prog-rock sounding ballad, My Lady. It is a bit reminiscent of Iron Maiden's "Strange World," and is a nice tune. 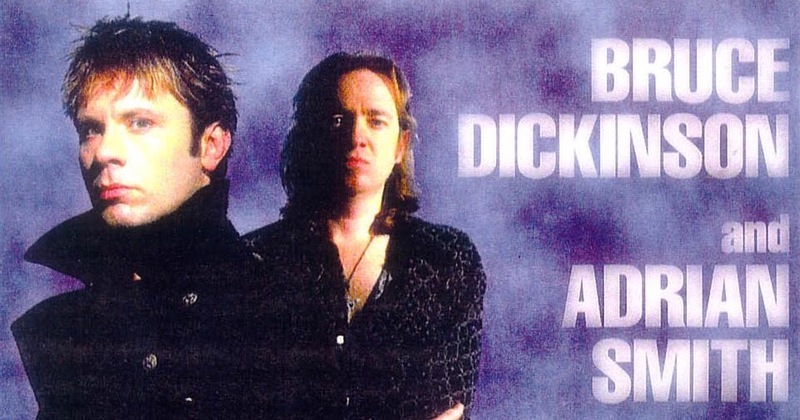 The writing combo that produced "Flight of Icarus," "2 Minutes to Midnight," "Moonchild," and more came together in 1997 for Bruce's solo album, Accident of Birth. The 1997 album contains many great songs, and this is one that is really awesome and could even be confused for a deep cut on Iron Maiden's Dance of Death or The Final Frontier. Okay, I'll try to stop making comparisons to Maiden songs now! 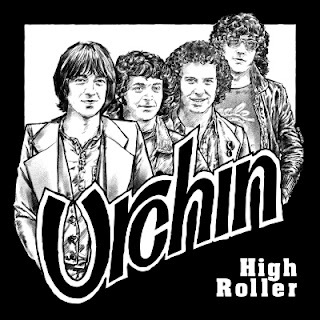 Urchin is back with a nice little rocker that contains a simple neat drum intro that seriously sounds like someone angrily knocking on a door. Adrian Smith's voice is superb on this track. Urchin songs like this one show how great Smith could have been even on his own because he has a very unique voice and his guitar playing is, of course, second to none. 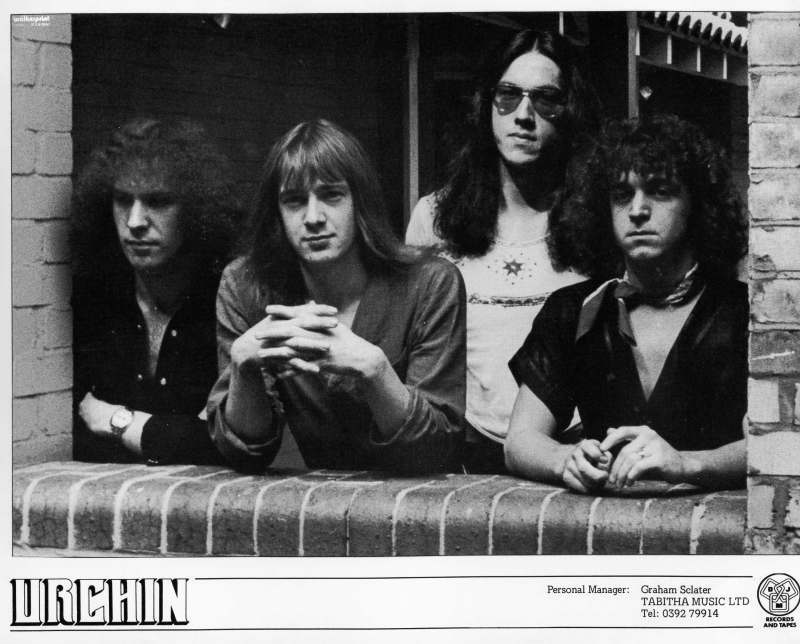 In 1995 Smith formed Psycho Motel after his shortlived band ASAP folded. 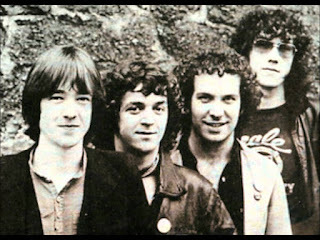 Smith had taken a five-year break from the music industry before being pulled back into it and eventually formed this band. 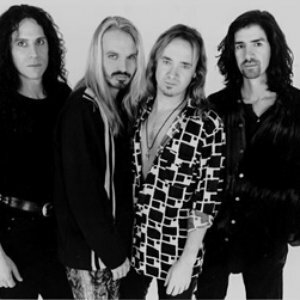 The first album, State of Mind, came out in 1995 and possessed the grunge rock sound found all throughout the rock radio stations of the time and a bit of the progressive rock that Smith had experimented with in the past. The best song from this album has to be "Psycho Motel." Adrian Smith once again worked with Bruce Dickinson on his 1998 album, The Chemical Wedding. This album proved to be a big success and is one of the most admired of Dickinson's solo works. One listen to "The Tower" proves why. Dickinson delivering his signature Maiden voice, Eddie Casillas giving a nice groovy bassline, and Adrian Smith and Roy Z laying down some nice guitar riffs. All of that is a great formula for an awesome track. Unfortunately, I have to make one more Iron Maiden reference. "Life in the City" eventually became Iron Maiden's 'B' side "Sheriff of Huddersfield." For that alone, it makes the list in some capacity. I've got nothing else. 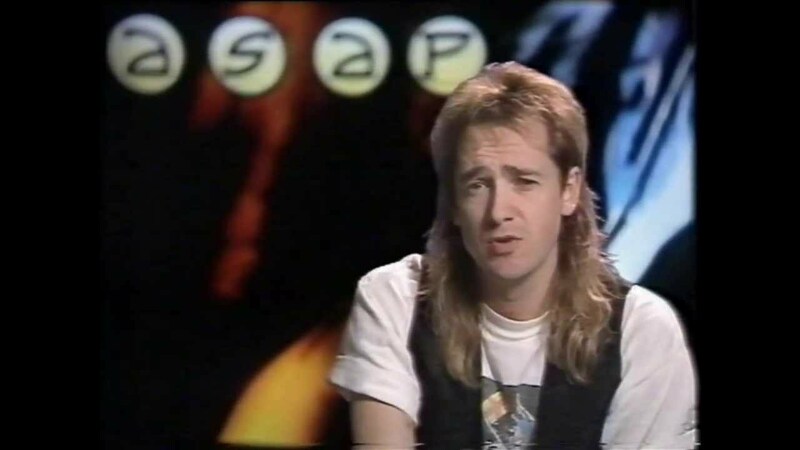 If you have ever listened to a stereotypical 80s hair band that got their peak in music by being the lead song on a cheesy 80s movie, you have listened to ASAP's 1989 album, Silver and Gold. Many people believe that Smith quite Iron Maiden to record this album, but that was not the case as when this album was released Smith was still a member of Maiden. Some music trivia for you is that Ringo Starr's son, Zak Starkey, played on this album with Smith. 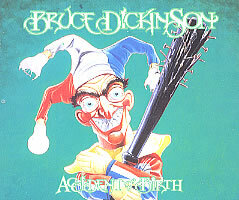 The aforementioned Bruce Dickinson album, Accident of Birth, contains some awesome music that is severely overlooked. "Accident of Birth," the title track of the album, is a spectacular introduction to Dickinson's solo career. This one might be cheating a little bit, but "Reach Out" was not originally an Iron Maiden song anyway. This song was written by Dave Colwell for The Entire Population of Hackney project. The project was the brainchild of Adrian Smith and Nicko McBrain, who formed the band with some of their former bandmates in various bands. 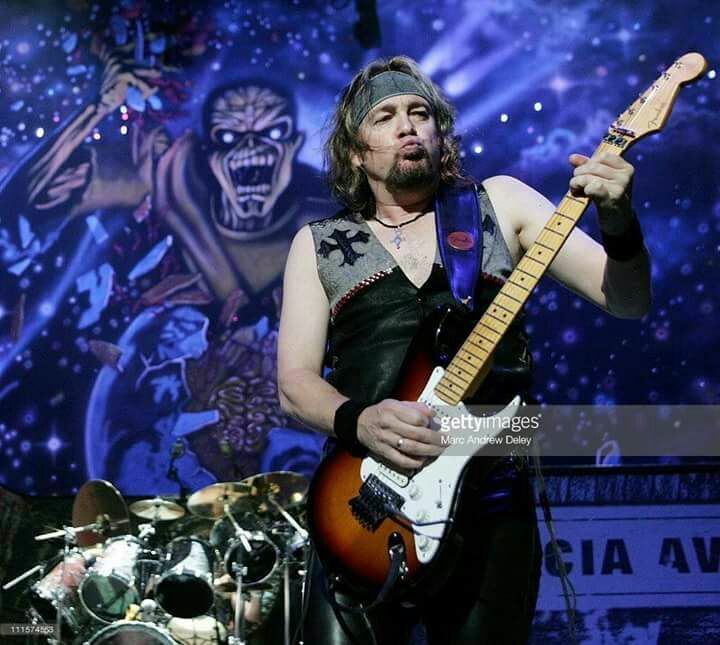 Colwell was one of the band's guitarists and wrote this song that would eventually become my favorite Iron Maiden 'B' side. 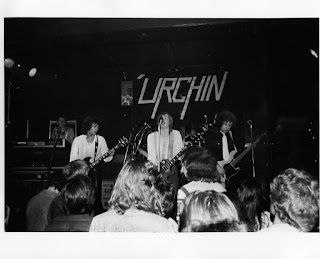 This is the best song Adrian Smith did with Urchin. If this band had received more backing financially and had been visible to a wider audience, this song would have been huge. Its simple, catchy chorus clashes with a neat guitar riff that Smith lays down perfectly. This is one of the most underrated songs ever quite honestly. So, Happy Birthday to "H," one of the quiet members of Maiden who has such a fascinating and articulate style of playing. He has released some great music throughout his career and we are happy he is part of the Maiden machine. What are your favorite Adrian Smith songs? Let us know and stay alert for the next post on Heavy Metal Mania! Great article, Nate! Adrian's a musical genius - from songwriting to composing magical, powerful riffs out of thin air. Not to mention he has the tastiest vibrato in the world. Not one song from Primal Rock Rebellion?!?!?! I have never been a fan of the vocals in PRR. Adrian's guitar playing is exquisite, but I can't get passed those vocals, man. Fair enough, it's your list :) I can understand if some don't like the vocals, I love them though. Good list anyway, it made me start listening to Urchin and Psycho Motel again.